are given in combination to fight cancer at molecular level. In the present blog we will discuss about the various immuno targeted therapies that are been developed to fight variety of cancer. 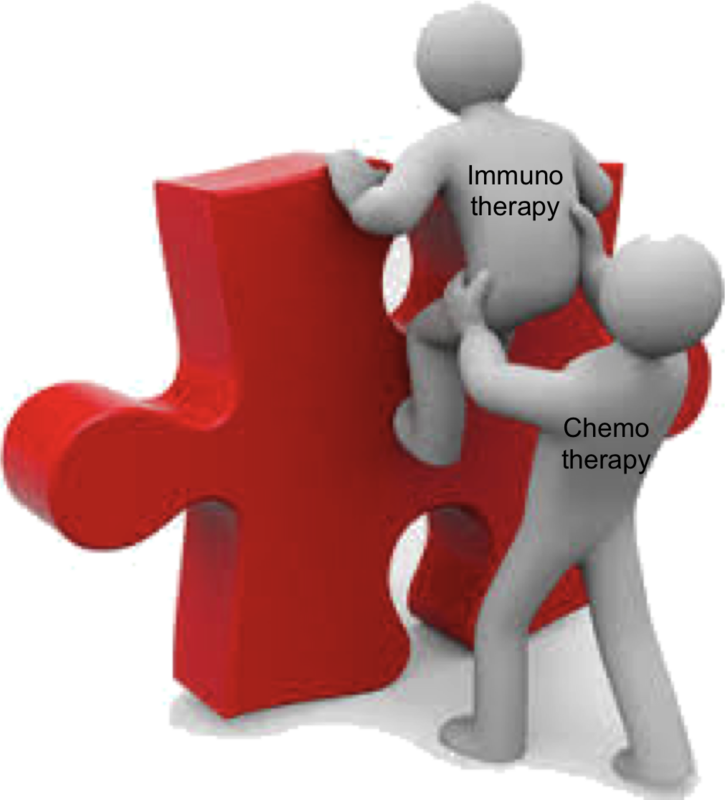 Cancer immune therapy with mono-clonal antibodies is recently explored extensively for cancer as mono or in combination with conventional small molecular inhibitors. It is been noted that under normal circumstances genetic mutations in cancer cells present as an antigen to human immune system, which causes development of antibodies that prevents the development of cancer. However, constant evolution of cancer cells causes failure in the immune defence mechanism leading to development of cancer and also causes failure in chemotherapy. Cancer immune therapy is been developed that prevents immune regulatory pathways that causes activation of T cell. Some times cancer cells suppresses T cells via. activation of immune checkpoints like CTLA-4 and PD-1. Monoclonal antibody causes blockage of these check points and renders cancer preventive immunity, which provides a desired anticancer pharmacological response. List of monoclonal antibodies used for the cancer therapy is covered in my previous blog post about "chemotherapy against most common type of cancer". Detailed mode of action of immunotherapy against melanoma using check point directed inhibition is shown in following video. Inspite of the fantastic strategy to kill cancer cell by boosting human immunity; there are reports of immune therapy resistant cancers. These are mostly formed as the monoclonal antibodies fails to provide protection against activation of concomitant multiple pathways that helps in cancer proliferation. In order to boost effect of monoclonal antibodies they are mostly given in combination with small molecule inhibitors. Insilico Inc. has come up with a unique method to boost the effect of currently used monoclonal antibodies for cancer therapy. Insilico Inc. is a computational company based in John HopKins university. They are known for developing computer based strategies for fighting ageing and cancer. One of the ongoing work at Insilico Inc. is focused on measurement and analysis of perturbations happening in the cellular pathways in patients that gives positive or negative response to the checkpoint inhibitors. This novel strategy is aimed to provide potential inhibitors that may help in boosting the pharmacological response of monoclonal antibodies. These 12 leads are the part of DeepPharma AI developed by Insilico Inc that alsolarge number of molecules that are predicted to be effective against age related conditions like CVD, CNS. Public sector academic groups and private sector organisations can contact Insilico Inc to test their lead molecules and find newer molecules to fight cancer and ageing. Their recent paper on "Deep Learning Applications for Predicting Pharmacological Properties of Drugs and Drug Repurposing Using Transcriptomic Data" received editor choice award by American Chemical Society. They are known for their collaborative efforts to find newer and better solution for ageing and cancer. Cancer is throwing peoples in to the mouth of death which is extremely major worriment for the people. In future, it may be stop with https://familymedicine.residencypersonalstatements.net/guidelines-on-occupational-therapy-personal-statement-writing assistance of hard working doctors who are struggling to kill this illness.